Remember the Equalizer Quilt? 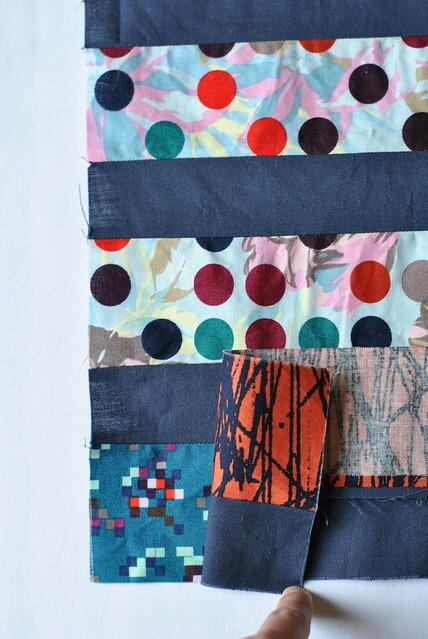 I had the best intentions of writing a free pattern or tutorial for this quilt, and never got around to it . . . until now! It's been nearly a year in the making, but I'm happy to say that I've written a pattern for this beginner friendly quilt, which you can download for free at the Pellon Projects website. I'm so happy to be a Pellon Projects Artist. I joined the program this summer and have loved meeting the lovely Erin and getting to know more about Pellon's batting, interfacing and other fusibles. Sometimes it is confusing to figure out which batting to choose or what thickness of interfacing you need for a project, which is why I pop over to their site often to read up on the product descriptions. And if all else fails, I ask Sara! 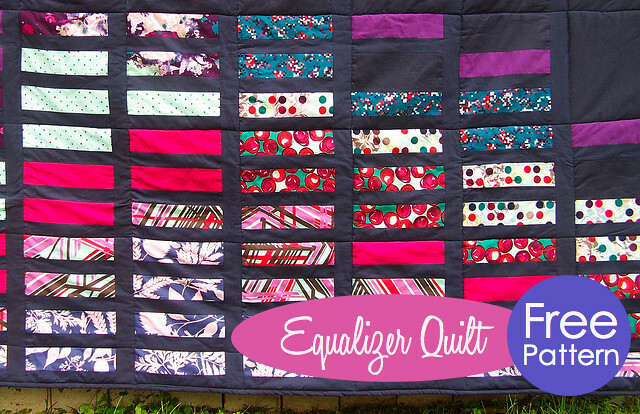 The Equalizer Quilt is 60" x 78", and my sample is made with Habitat by Jay McCarroll. You'll need 4 fat quarters and 8 fat eighths of assorted prints and 3 yards of solid background fabric. Download the pattern for free at Pellon. Thanks you for this great pattern - such a fabulous quilt!